Star Wars: Assault Team is a great strategy title that features a variety of heroes and creatures from the iconic universe; even better, it's free-to-play. With this in mind, we set out to complete a number of missions to show you more of the game. 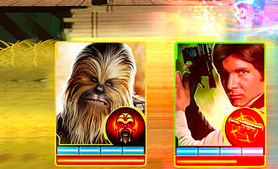 This time, it's The Wookie Wins, where Han Solo attempts to rescue his partner in crime, Chewbacca.